But data has now given me a window into how the rest of the country lives. They’re even worse off. Google searches for anxiety tend to be higher in places with lower levels of education, lower median incomes and a larger part of the population living in rural areas. While the state of New York does have above-average anxiety, it is actually higher in upstate New York than it is in New York City. 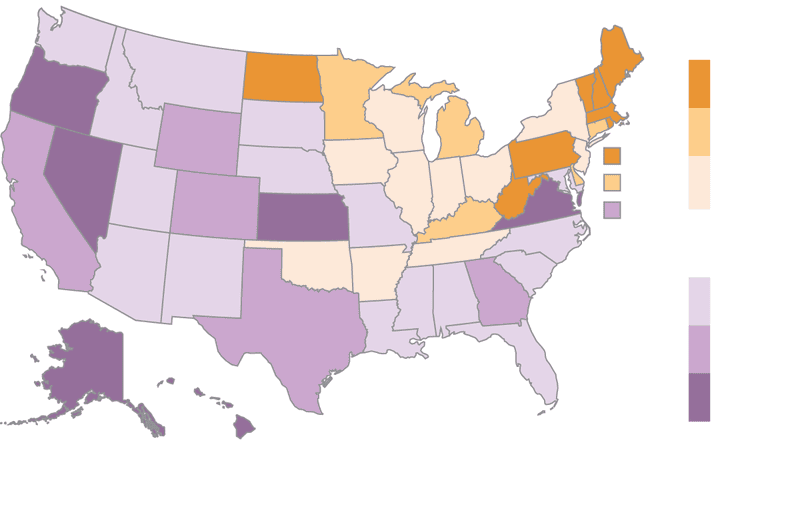 Searches for panic attacks are overwhelmingly concentrated in less educated, poorer parts of the country, particularly Appalachia and the South. Test-taking anxiety is highest in Arkansas. Searches for “anxiety about death” are highest in Kentucky. The epicenter of anxiety, according to Google, is Presque Isle, Me., where fewer than 20 percent of adults hold a bachelor’s degree. Haha, get me a drink. I mean, I haven’t lived there for a long time but I am still anxious! ETA: Also, you know, tell me what you think about the rest of the article.